Ideal for big mountain skiers, the Spencer C-Knit Pants use the 3-layer GORE-TEX C-Knit membrane, providing the ultimate in weatherproofing protection, with high levels of breathability and a soft feel. The zip-off bib is constructed with a breathable stretch fabric so it moves with you, and can be all-together removed for warmer resort days. Burly Kevlar reinforced ankle cuffs assure durability, and extra-long side leg vents permit airflow when you�re heating up. 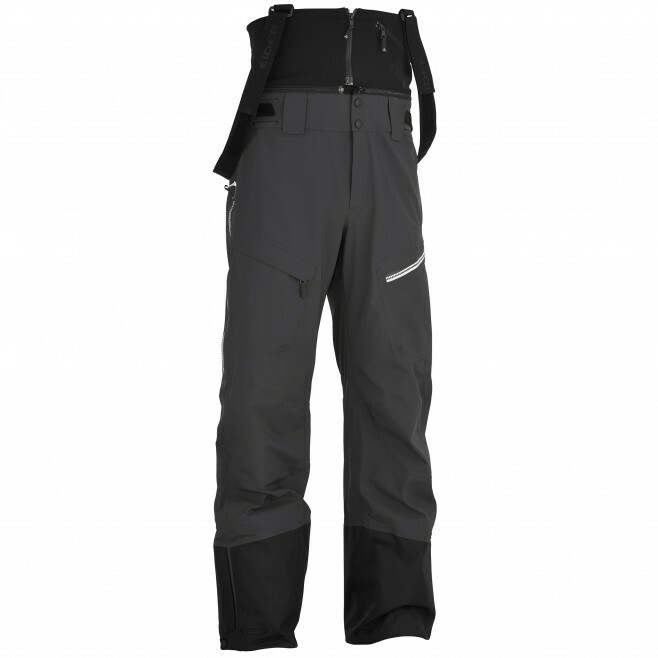 Adjustable and removable suspenders, cargo pockets, and pre-shaped knees are just a few more details that combine to make the Spencer Pants a top performing, bomber ski pant.